Discussion in 'POTW Collaboration' started by Serebii, Mar 24, 2019. Rayquaza is interesting. It remains to be seen how popular it'll be in Ultra Series. On one hand, Sun and Moon introduced new threats to it like Solgaleo and Dusk Mane Necrozma that resist its STAB moves. Incineroar's Intimidate being on almost every team is also not so fun for it. 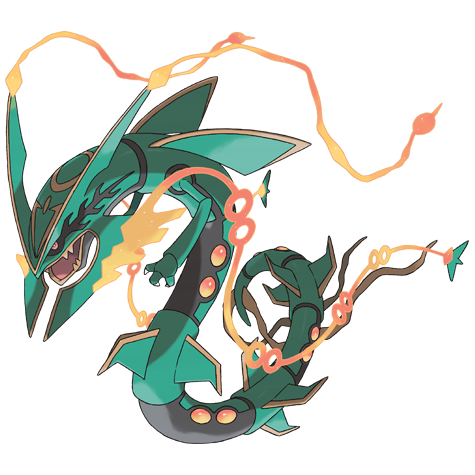 Rayquaza lacks spread coverage on its STAB moves, something that other popular legendaries like Groudon, Kyogre, and Xerneas have. Rayquaza also doesn't like the new Tapus too much, Tapu Fini's Misty Terrain reduces the damage its Dragon STAB does while Tapu Lele's Psychic Terrain blocks it from using Extreme Speed against most targets. Choice Scarf Tapu Lele is popular and can inflict major damage with Moonblast while outspeeding Rayquaza. The common opening of Incineroar + Xerneas in particular is troublesome for it, as Incineroar can Fake Out Rayquaza while Xerneas sets up Geomancy, and then on the next turn Rayquaza has to run (especially if the Xerneas user also has Tapu Lele or Tsareena in their team to potentially switch in for Incineroar to block Extreme Speed attempts). On the other hand, Mega Rayquaza has a lot of offensive power and can hold items to make it less predictable than other megas (and most other legendaries, the moment you see Xerneas you know it's Power Herb, the moment you see Groudon you know it's Red Orb), although Mega Rayquaza can't use Z-Moves. It could end up being one of the more popular megas around next to Metagross and Gengar. 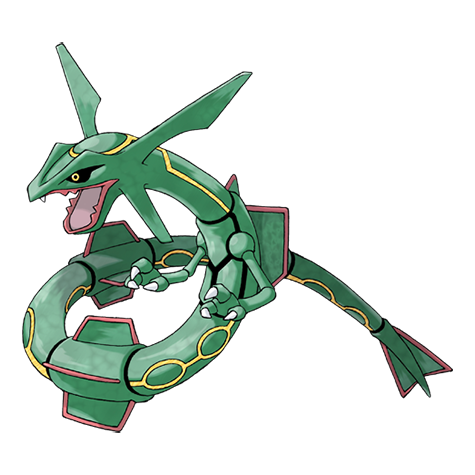 Rayquaza can remove enemy weathers by switching in, even the extreme weather conditions of the primals. And because mega evolution happens after primal reversion, it will also have the weather advantage if they share the opening regardless of speed stats. Delta Stream can protect other flying types and combine well with pokémon like Ho-Oh or Yveltal to reduce their weaknesses, although you do share a fairy weakness if you combine it with Yveltal, and you can't run Solgaleo or Dusk Mane Necrozma in that case to cover Xerneas, so you'd need to rely on other mons like Scizor or Ferrothorn to cover it. Ho-Oh has a better match-up against Xerneas, hitting it on its weaker defensive side (assuming Geomancy is up) and having a lot of special bulk to take boosted fairy hits with its fire typing. Btw, why is Dragon Ascent listed among the transfer-only moves for Rayquaza? 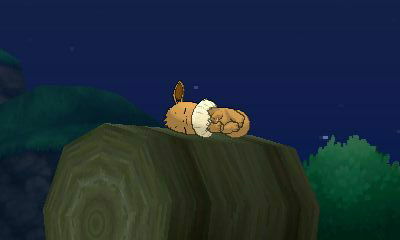 It gets it in gen 7 too. Background Information - Rayquaza! The King of Epic Pokemon Moments! If you asked me which Pokemon that GameFreak and their partners have problem been giving too much love, surprise that it's not a Kanto Pokemon. 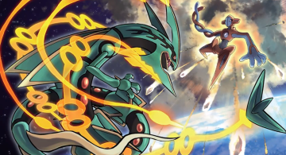 It's Rayquaza who is at the highest level of badassery, arguably having more epic moments than any other Pokemon throughout the series and one of the earliest memorable moments is when Rayquaza debuts in the Pokemon games first ever cinematic cutscene that isn't an intro sequence, swooping down to tell Kyogre and Groudon to knock it off. In the Pokemon Adventures manga, we saw Wally on a quest to awaken the legendary dragon who is so powerful that Groudon and Kyogre tremble before it's awesomeness. 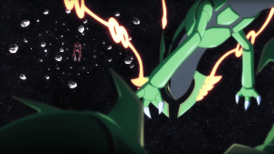 And who could forget Destiny Deoxys where we saw the first time that Rayquaza's rivalry with Deoxys would be cemented for years to come! And surprise, surprise, Rayquaza gets an absolutely broken Mega Evolution and his badassery levels are pushed further than one would think, cementing Deoxy's rival as part of the game's canon but in SPACE! 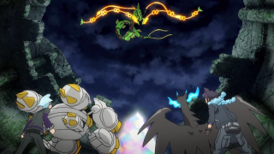 An awesome sequence of events that would later be recreated in Pokemon Generations and Pokemon Adventures ORAS, to display Rayquaza's badassery in animation or a more story expanded medium. Then there's of course the anime where the XY series does justice to Groudon & Kyogre that the Advance series couldn't, establishing Groudon and Kyogre as these forced of nature that's difficult to understand by man before Rayquaza swoops in like a jet plane and scares the two. And this is not even counting the spin-offs such as the time Rayquaza destroyed a world-destroying meteor in the Mystery Dungeon... wait a minute... world-destroying meteor? Looks at Mystery Dungeon and looks at Delta Episode... huh... interesting. Anyways, Rayquaza is the definintion of epic moments! Straightforward destroy everything set, regular Rayquaza having a bit more coverage on either bulky water or annoying ice-types.